Limited to only 77 units. Australia-based tuner Tickford gained a reputation back in the 1980s for its work on the iconic Ford RS200 and Sierra RS500. More recently, it gave the modern Mustang a performance boost that brought the Eco model in-line with the standard GT. Now it’s revealed its latest project: a limited-edition Mustang that pays homage to a historic race event. Limited to 77 units, the Tickford Bathurst ’77 Special celebrates the 40th anniversary of Allan Moffat and Colin Bond’s famous one-two win at Bathurst in 1977 in a Ford Falcon XC. Using the Mustang GT as a base, the upgrade package includes the same racing livery worn by the Falcon XC used in the 1977 race, a set of distinctive 20-inch wheels and a high-performance supercharger. 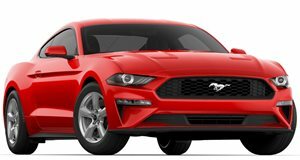 The custom Mustang’s cabin will also be fitted with a bespoke steering wheel, XC Hardtop red and blue seat stitching, and a full OEM-spec leather interior. Initially, it will be available as a standalone car with all the enhancements, but Tickford is considering offering the upgrade to existing Mustang owners. Final performance specifications have yet to be revealed. Pricing is estimated to be around $120,000 according to CarAdvice.